Tighten up Loose Neck Skin and Eliminate Wrinkles with Tightneck Serum! Unfortunately, our necks are always a giveaway to a woman's true age. As we get older, the skin on the neck starts to crepe and loosen. Thankfully, I have discovered a product that really helps reverse the signs of aging in that area without surgery or injections! TIGHTNECK™ helps to tighten, firm and lift loose skin while improving skin tone, resiliency and elasticity. 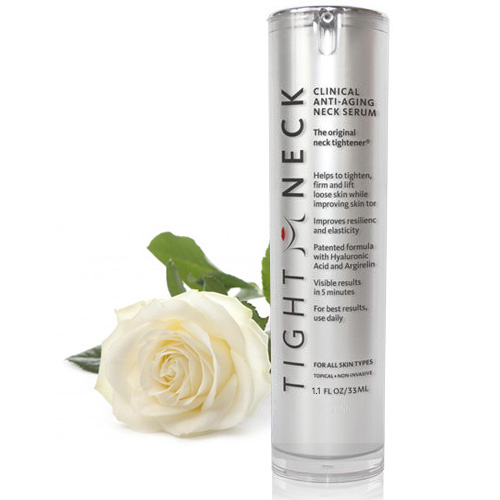 TIGHTNECK™ Clinical Anti-aging Neck Serum is a rapidly-penetrating, lightweight SmartGel™ scientifically formulated with key anti-aging ingredients Hyaluronic Acid, Vitamin C, Bio-peptides, Green Caviar Extract, Caffeine and Argireline. Upon application, TIGHTNECK™ is heated by your body's natural temperature, triggering the absorption of key anti-aging ingredients by your skin. At the same time you will feel TIGHTNECK™ contract on the surface of your skin, providing you with immediate tightness. The combination leaves you with results you can see and feel in 5 minutes*. After your treatment gently wipe TIGHTNECK™ from your skin with a damp cloth. NOTE: On average it will take 5 minutes for the serum to dry; your treatment is not fully done until the serum has completely dried on your skin. At times this can take more than 5 minutes (8-10 minutes) depending on your body's natural temperature. I have been using TIGHTNECK for a little over a month now, and I wanted to wait until I had used it awhile to post my review. I was looking for long term results, and with this product, I have definitely found some amazing results. Before I discovered this amazing serum, I had almost given up on finding a product that would actually perform better than hype. I was getting some loose skin and crepiness to my neck. I was getting very concerned and wanted to make an appointment with a plastic surgeon! A month ago, my daughter was getting married and I wanted to look my best. I was looking online for a product that would help my neck to look younger, and I found TIGHTNECK, and decided to give it a try. I noticed a difference after just one use. After washing my face in the morning or in the evening, I apply this serum onto my area of concern. I allow it to dry for 10 minutes. Then, I rinse it off with cool water, and pat my skin dry. After that, I apply my moisturizer(s) or my makeup as usual. The skin on my neck has definitely become much firmer. No more creping, and I am very pleased with the results. I love this serum! I bought some for myself, my mother, and my mother-in-law! I moisturize and use sunscreen to fight against wrinkling. I don't have a good plan. I just use moisturizer. I would love to try this serum. This sounds like something I NEED. I probably get a little carried away but I use different serums, moisturizers and creams twice a day. Thanks for the review. I want to try this! I've begun using Oil of Olay's Regenerist line and it seems to be helping. A big issue for me is that my skin has changed from normal to dry, so it's been a learning curve for me. This sounds great. I use sunscreen and moisturizers at night. I haven't actually found a way to combat wrinkles and keep my face looking young. But I do make sure to use at least a moisturizer on my face daily; and I always use sunscreen when I go out. I use moisturizers and masks to help prevent them. I use a great serum that works well for me. I moisturize daily and use sun screen. 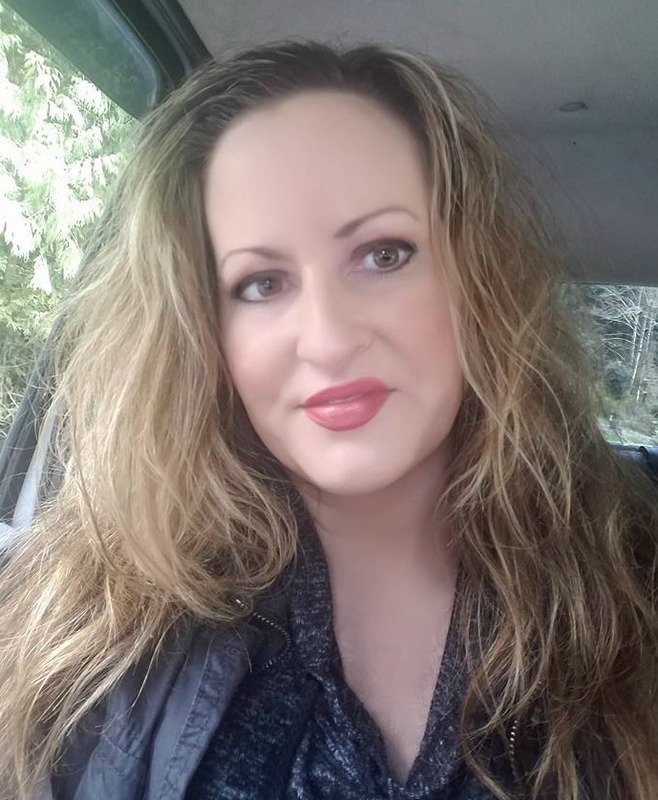 I apply anti-aging products several times a day. Wash, toner. moisturize, moisturize and moisturize. I don't have wrinkles yet! But I want to try out the anti-wrinkle cream from Ponds when I need it! I use moisturizer, but feel like I am fighting a loosing battle. I cleanse and moisturize my skin daily. I find moisturizers that work for my skin. I also use facial oil. Sunscreen and drink lots of tea.